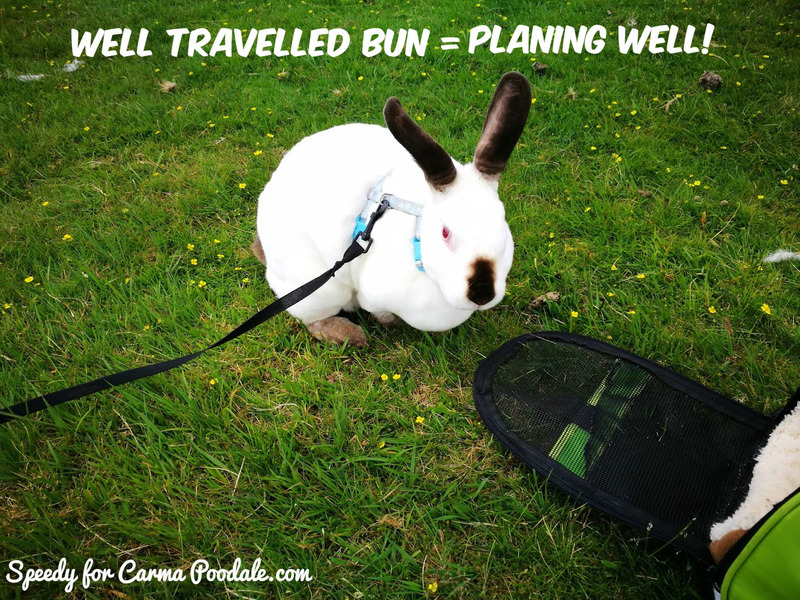 Carma Poodale : Bunny Meme....a travelling Bun! Did you know that as a general rule Bunnies and travelling don't match?That's because Bunnies don't normally travel well,most bunnies get stressed out by being in a carrier and having their routine changed....well they really don't like it! Of course there are exceptions to the rule like me!I have never minded being in a carrier or car journeys.Lets face it most car Journeys mean going to the vet so a carrier means going to the horrible stabby place and us rabbits never forget we have long memories when it comes to the not so nice stuff.But if you can make a bunny realise the not every time the carrier comes out does it mean the they are going to the vets then it opens up a whole new fun world for your bun and for you. 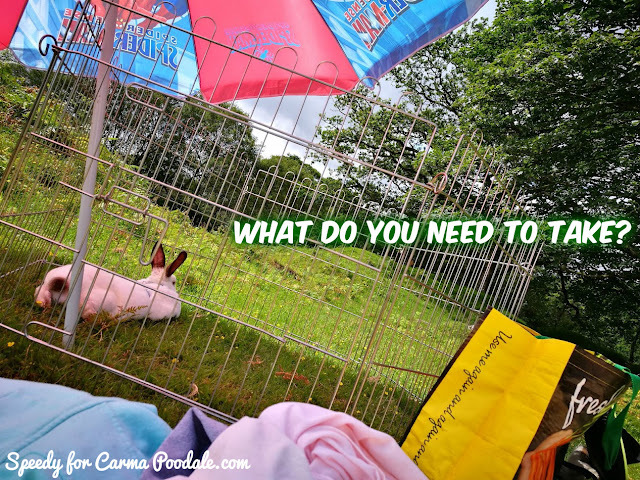 So first thing you need to do is leave the carrier out all the time so your bun can get used to it...leave it open so they can investigate it put a treat inside to encourage it to go in and out of its own accord.Then you need to go on short car journeys when you come back give another snack.....bunnies love food if something involves food they will want to keep on doing it. All this takes up half the space in the car and when we get to where we are going the first thing she does is get my litter tray out with some food and water and then she sets up my Play pen accommodation and toys and then pops my litter tray,food and water and me in my play pen to settle while she then unpacks all her stuff.Mummy says its like organising a military campaign when she takes me on holiday but she says I'm worth it! So does your Humans have to pack lots of stuff to take you on holiday?